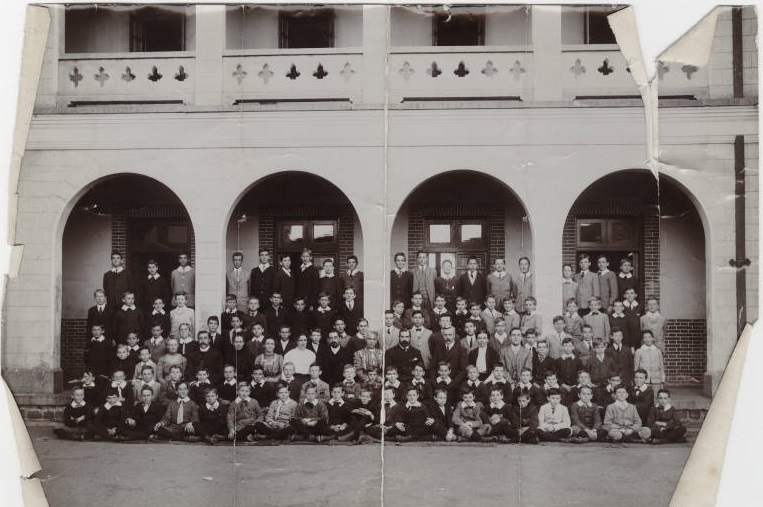 Photograph from 1912, showing the boys and teachers at the China Inland Mission School in Chefoo. “It was a good school,” Thornton wrote. “All the teachers and administrators were English or Scottish. Of the one hundred and twenty students in the Boys’ School one hundred were English, about a dozen were American; there were a few Scandinavians. Much attention was given to religion, but there was none of the “hell-fire” evangelism that I was later to encounter occasionally at Oberlin College and even at Yale.” One of Thornton’s classmates was Henry Luce, the founder of Time Inc. Image courtesy of the Yale Collection of American Literature, Beinecke Rare Book and Manuscript Library. Reprinted by permission of the Wilder Family, LLC. 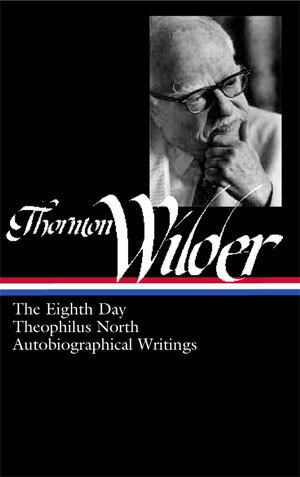 In the forthcoming, definitive biography of Thornton Wilder, Penelope Niven describes one of the more exciting adventures of his childhood: his family’s move in 1906 from Madison, Wisconsin, to Hong Kong, where his father Amos Parker Wilder would serve as U.S. consul general, appointed by President Theodore Roosevelt. The family traveled cross-country to San Franscisco, then to Hawaii, and on to their final destination; the young boy’s ninth birthday, on April 17, actually “disappeared” during the trip when their ship crossed the International Date Line. Again dissatisfied with the available schools, the Wilders opted to send Thornton to the China Inland Mission School in Chefoo, 450 miles to the north in Shandong province. In late April the teenager traveled by coastal steamer to the port of Chefoo, where a plague had just killed tens of thousands of people. He arrived safely at the school and was joined in July by his sister Charlotte when his mother, who could no longer bear life in Shanghai, left for Europe with the two youngest children. (One of their schoolmates at Chefoo was Henry Luce, who would go on to establish the Time-Life magazine empire.) The Wilder children remained at the missionary school until the summer of 1912—largely sheltered from the Xinhai Revolution that ended two thousand years of imperial rule and established the Republic of China. Note: Wilder’s manuscript cites Heraclitus as the source for the quote, “Man is the measure of all things” (p. 717). The correct attribution is Protagoras. It used to be said that to have lived in China during those years between the Boxer Rebellion and the 1911 Revolution was to have enjoyed a foretaste of Heaven. . . . If you don't see the full story below, click here (PDF) or click here (Google Docs) to read it—free! Very impressive, i would like to read more about the author and his short stories.